This position article applies the concept of soft power as developed by Joseph Nye to the Arab world and US public diplomacy in that area. Evaluating public opinion and the challenges of public diplomacy in the Arab world is difficult because of the absence of hard data on polling and public diplomacy issues. However, American diplomats who have served in the Arab world, including this author, know that most Arabs are critical of US foreign policy but that they have positive attitudes towards America as a country, due in part to American cultural and commercial products and education. This essay first discusses the impact of the digital revolution on the American public diplomacy effort and on soft power. The expansion of private communication channels has provided challenges to the US effort and has impacted its soft power. Many Arabs have exaggerated expectations about America’s ability to solve their problems. Sometimes the behaviour of private American citizens has created new challenges for our public diplomacy and damaged our soft power. This essay then analyzes several other new issues that have arisen recently affecting American soft power. One is the private dissemination of American cultural products abroad. Another is the question of whether foreign audiences still regard the US political system as a model, which they once did. A third is the exchange of persons programme, which remains an important vehicle for soft power, but which is underfunded. New security measures made necessary by terrorism also impact US soft power and public diplomacy. Futhermore, the Pentagon’s communications “mission creep” competes with the State’s public diplomacy. At the end of the essay the author takes issue with the thesis that American power generally has declined. This article is published as part of a collection on soft power. “Public diplomacy” is not the same as soft power, although some people, including the Undersecretary for Public Diplomacy, have confused the two terms (Stengel, 2014). 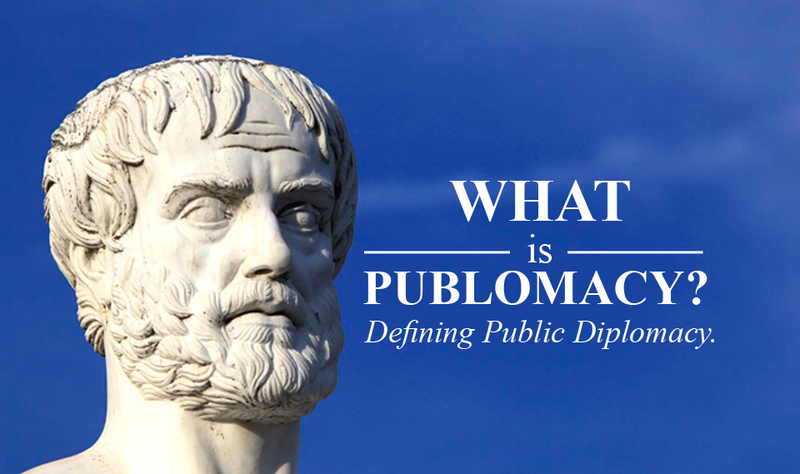 Public diplomacy is a deliberate communication effort that makes use of soft power by providing information and examples of aspects of a nation’s soft power that are regarded by a foreign audience as positive. In the case of American public diplomacy, the US government uses a variety of different ways to do that. These include sending American musicians, theatre groups, art and photographic collections, and speakers abroad, to demonstrate aspects of American culture. American public diplomacy soft power objectives are also supported by American libraries, book programs abroad and book translations as well as exchange programs that bring foreign students and professionals to the United States to see for themselves aspects of American society and culture. English teaching programs abroad, promoted as part of a US public diplomacy effort, especially those taught by American citizens, also help convey aspects of American society and culture (Rugh, 2014: Chapter 8–10). All of these programs are designed to present aspects of soft power that serve to attract foreign audiences. This study will examine the role of America’s soft power in the Arab world. It will look at the dissemination of soft power products in that region by the US government as part of an official public diplomacy programme. It will also discuss how public diplomacy officers face those challenges and make use of soft power. But this study will also help shed light on the broader question of whether American power in the world, including soft power, has declined, a question that is being debated by scholars. Since War II, the US government has systematically sought to make use of soft power in the Arab world, using a variety of means to reach those audiences (Rugh, 2006). It has sought to counteract or put into context the negative stories, and it has sought to reinforce the positive aspects of American soft power by using all of the public diplomacy tools available. Making use of American soft power has always been a central element of US public diplomacy efforts in the Arab world, but changes in the working environment have led to changes in the approach. The following are some of the major current challenges that US public diplomacy professionals face in communicating with Arab audiences. Can we generalize about the Arabs? There are approximately 350 million people in the Middle East and North Africa who can be called Arabs because Arabic is their mother tongue. But they tend to have a wide range of attitudes and affiliations, depending partly on whether they are Sunni, Shia or Christian; wealthy to poor; urban or rural, and so on. Yet they have much in common, and generalizations are possible, so it is common for respectable scholars to refer in their publications to “Arab attitudes” or “Arab perceptions” (Telhami, Cole, and Nakhleh). One challenge in writing about Arab public opinion is the scarcity of reliable polling data. Until two decades ago Arab polls were was almost nonexistent because of Arab government restrictions, but today researchers like John Zogby, Shibley Telhami and the Gallup Organization are able to carry out regular polling in some Arab countries. American diplomats and intelligence officers have, however, collected a great deal of empirical data, mostly non-statistical, about Arab views, and if they have served in the region for any length of time and have engaged with Arabs on a daily basis, they are able to compile a reasonably accurate picture—although incomplete—of how Arabs think. The present author spent fifty years working in and on the Arab world and as a result has some sense of Arab attitudes. The basic fact that every American diplomat who has served in the Arab world knows is this: most Arabs are critical or highly critical of aspects of American foreign policy toward the region, yet at the same time they tend to hold very positive views of the United States as a country. One opinion poll taken in June 2004 in Morocco, Jordan and the UAE for example, revealed that the public in these countries had favourable opinions about American science and technology (90, 83 and 84%, respectively), US products (73, 61 and 63%), education (61, 59 and 63%), movies and television (60, 56 and 52%), freedom and democracy (53, 57 and 39%), and the American people (59, 52 and 46%). However, this same poll showed that these publics had unfavourable views of US policies toward the Arabs (90, 89 and 87%), toward the Palestinians (93, 89 and 90%), toward Iraq (98, 78 and 91%), and on terrorism (82, 75 and 84%) (Rugh, 2006). Opinion research in 2010 in six Arab countries (Egypt, Jordan, Saudi, Lebanon, Morocco and UAE) found that 76% watched US or European movies 3-7 times weekly, and as many as 47% watched them daily. The United States ranked second highest only behind France for country that supports freedom and democracy, but the United States ranked second (behind Israel 77% and 88%) among countries perceived as posing the biggest threat to the Mideast (Zogby and Maryland, 2010). Before the emergence of modern information technologies, the US government had much greater means of communicating with foreign audiences than it does today. Shortly after World War II, the State Department had not only telegraphic contact with every US embassy abroad, but it also used the so-called “wireless file” to transmit full texts of unclassified policy statements and USG commentaries to every embassy. US diplomats made extensive use of these materials by providing them to local media editors and reporters, and embassy officers also translated official documents into local languages. Local media found these materials valuable because they usually arrived before the regular news reports about US policy, and translations saved them time and effort. At the same time, the Voice of America was broadcasting every day, in English and in foreign languages, carrying US policy statements—including live transmissions from officials—and commentaries explaining the US government’s point of view, as well as accurate information about American society and culture. These services were very useful to the embassy because the local media otherwise received brief wire service versions of the policy statements that had often been distorted by going through that filter. The local media therefore had a more reliable version of the official US statements, and the commentaries provided explanations of US policies and put the statements into context that was helpful to the United States. This enhanced the possibility that the editors and reporters would regard the US policy statements as positive. Today, however, because of the communications revolution, editors and reporters at foreign newspapers receive information about US policy statements as soon as they are made, through the internet, cell phones and other digital technology that did not exist only a few decades ago. Likewise, events in the United States that can influence foreign perceptions of America one way or another, are now described to foreign audiences much more quickly than ever before, by various private means not controlled by the US government. Foreign audiences no longer need the information from the embassy as they once did. As a result, they no longer see full texts of official US policy statements or reports of American developments. They usually do not see full explanations by US officials of what the policy means, or an explanation of developments in American society. In fact, if the means of delivery of these materials are biased or distorted, the local media will receive a biased or distorted version of US policy and society, and that bias often carries a negative spin. Therefore the potential positive impact of the soft power of a US policy statement can be lost because some source other than the US government is providing it. Public diplomacy professionals at US embassies abroad and at the State Department have joined the twenty-first century international dialogue via new electronic devices, to remain competitive in the effort to reach foreign audiences. They have established websites, personal Twitter accounts, and used YouTube and many other new communication channels to convey aspects of positive soft power to foreign audiences. They make use of the “Rapid Response” bulletin created during the presidency of George W. Bush by his Undersecretary of State for Public Diplomacy and Public Affairs, Karen Hughes, which is intended to help American officials compete with the private sector by providing them with a source of reliable information that is delivered very quickly and in useable form. This bulletin that is sent daily to every embassy is a two or three page paper summarizing foreign comment on the most urgent one or two issues of the day, alongside current US official statements on them. American diplomats use this handy summary of key points to make in their discussions locally. But it is up to them to identify the problem areas in local discussions and use these materials effectively. US government broadcasting is also still helpful in supplementing the embassy’s effort to disseminate information abroad about America. However, for the Arab world, the effectiveness of this tool was diminished during the administration of George W. Bush when Congress passed a law putting the Voice of America and other broadcast channels under a separate Broadcasting Board of Governors (BBG), because the BBG then cancelled the Arabic Service of the VOA, that had been a very effective means to reach audiences in the Arab world. In its place, the BBG created Sawt al Arab radio and al Hurra Television, both in Arabic, which were intended to be helpful with Arab audiences. However both of them were badly managed and many regular Arab listeners to US government broadcasting were lost (USC Centre and Rugh, 2006: 177). US public diplomacy officers are therefore making use of the new social media tools that have become ubiquitous, and broadcasting still exists. But they have also found that a proactive effort to engage directly with key members of their local audience remains a vital part of the public diplomacy effort. In one-on-one conversations, US diplomats engage with them to explain American foreign policy and society. Soft power can be used effectively one-on-one. In short, US public diplomacy has met the challenge of the new media by making use of it, but also continuing to use traditional public diplomacy tools such as broadcasting and personal contact that are still effective. The significant expansion of international communication by sources other than the US government has been especially challenging for US officials trying to explain American foreign policy. Since the Cold War ended, it is clear that America has more hard power than any other country, so it has become a bigger target for criticism by those who want the United States to solve their problems. Arabs know that the United States has military capabilities to defeat any adversary, and that it has the strongest economy globally, so they tend to assume that the United States government can do almost anything it wants, anywhere in the world. They assume the issue is the willingness of the United States, not its capability. America’s presence around the globe, and its involvement with so many countries, is more widely reported in detail now than ever before. This often leads foreign audiences to assume that the US government must be manipulating those relationships to achieve outcomes in the internal political situations in foreign countries that it desires. Speculative stories about CIA and clandestine American operations, relayed by social media, fuel speculation that the US government must be behind many domestic foreign developments that are being kept hidden from view. This perception of American omnipotence abroad is reinforced by statements made by those American citizens who also believe these conspiracy theories. As a consequence of these stories and the attendant exaggerated preconceptions about the capabilities and activities of the US government, many Arabs see a “hidden hand” behind local events in their countries that they object to, and blame the US government for unfairly interfering in their country’s domestic politics. As an example, when Husni Mubarak resigned from the presidency of Egypt in 2011, many Egyptians saw a hidden American role in removing him. Then after Muhammad Mursi was elected president, many Egyptians thought the United States was working behind the scenes to keep him in power. When Mursi was ousted, Egyptians again perceived a hidden US hand. All assumptions were false, but widely believed, and repeated in the Egyptian media. The Arab exaggerated perception of American power leads to criticism that the US government fails to use the power it has, for some hidden reason. One longstanding example of this is US policy on the Arab—Israeli issue, in which it is widely believed that the US government could easily force Israel to withdraw from occupied Arab territories if it only wanted to, and it could withhold economic assistance that Israel depends on. This view fails to take into account the nature of the American political system. Other instances can be found from the time of the Obama administration when Arabs believed that he has failed to act when he should have used US power to intervene to deal with problems in the Middle East. President Obama in 2011 for example called for Syrian president Bashaar al Assad to step down but then when the latter stayed in office, many Arabs assumed Obama had hidden ulterior motives to keep Bashaar in office. Many wanted Obama to use force to remove Bashaar, not understanding his strong preference for diplomacy and other nonviolent means. American diplomats know that the United States does not have unlimited power to do anything it wants. The president must take the wishes of the Congress and the American public into account. This is a fact about the American political system that many Arabs ignore or do not understand when the president fails to do something they want him to do, and blame him for not acting. In these instances, it is the task of public diplomacy to explain the nuances of the American political system and the reasons behind specific policies of the US government that they criticize. That explanation usually requires some creative argumentation, especially when the criticism cites American power and says the US failed to use it “properly”. Arab admiration for American foreign policy has been very high in the past, but that has changed. Arab publics heard about Wilson’s Fourteen Points and Eisenhower’s criticism of Israel’s 1953 invasion of Egypt, and believed that America would defend their interests. But Secretary Dulles’ denunciation of Nasser’s Arab nationalism, and strong American support for Israel from the 1960s onward, led many Arabs to criticize America’s foreign policy as failing to live up to its own ideals (Telhami p.113). Arab resentment of US support for Israel became the constant source of this criticism and US officials had to try to explain what Arabs saw as an anti-Arab bias. When American interventions in Afghanistan and Iraq ended by leaving both countries worse off, Arabs saw only US failures. They saw more failures when the Arab uprisings led to turmoil because Arabs believed that since the United States was the world’s most powerful country it could “fix” things but was unable or unwilling to do so. These developments undermined American soft power. The digital revolution has also expanded the world’s knowledge of the activities inside the United States of private American citizens. Stories of behaviour by private Americans that Arab audiences might find repugnant, are today much more quickly transmitted to the Arab world because of the omnipresent digital media. Some of these stories have undermined American soft power. That is has not always been the case. For example, in the 1960s Life Magazine published a cover story on Islam that carried a drawing supposedly of the Prophet Muhammad. Most Muslims consider pictures of Muhammad blasphemous, and in a few Arab countries the government quietly banned the magazine. In Saudi Arabia, where the embassy’s cultural centre displayed a copy of the magazine that the embassy had brought in via diplomatic pouch, the government complained and the embassy apologized, but the public never knew about the incident and there were no repercussions because there was no Internet to spread the news (author’s personal information). Today such an incident would be widely reported through digital media and would cause serious criticism of America, undermining our soft power. In September 2010, for example, on the ninth anniversary of the 9/11 terrorist attack on the United States, the Reverend Terry Jones, the pastor of the Dove World Outreach Centre in Gainesville, Florida, a nondenominational Christian church, threatened to burn the Koran in a ceremony to show his anger at Muslims. That story was immediately picked up by the Internet and because it involved an act of blasphemy against the Muslim holy book, it was widely circulated in the Arab world and elsewhere. Jones first announced his plan to burn Korans on Twitter, and it was promoted on Facebook and YouTube. Because the story was being circulated abroad, US Secretary of State Hillary Clinton felt compelled to speak out and she said, “It’s regrettable that a pastor in Gainesville, Florida with a church of no more than fifty people can make this outrageous and distressful, disgraceful plan and get, you know, the world’s attention”. Even President Obama felt it was necessary to head off the story by admonishing Pastor Jones publicly and putting the story in context for foreign audiences. On 9 September 2010, on ABC Television, Obama said that burning the Koran “could have serious violence in places like Pakistan or Afghanistan. This could increase the recruitment of individuals who would be willing to blow themselves up in American cities or European cities”. He said, “… this stunt that he is talking about pulling could greatly endanger our young men and women in uniform who are in Iraq, who are in Afghanistan. We’re already seeing protests against Americans just by the mere threat that he’s making”. Obama made the point that: “…what he is proposing to do is completely contrary to our values as Americans, that this country has been built on the notions of religious freedom and religious tolerance”. Asked if the event could be stopped, Obama replied, “My understanding is that he can be cited for public burning … but that’s the extent of the laws that we have available to us”. Defence Secretary Robert Gates phoned Jones to ask him not to go through with his Koran burning. This did not stop Jones. On 21 March 2011, Jones held a mock trial of the Koran and set a copy on fire as a “punishment” for “crimes against humanity”. And on 28 April 2012, Jones burned another one. Protests erupted throughout the Arab world. Jones and his church received hundreds of death threats by phone and mail, and some were published on Arab websites. They reported that a Pakistani radical Islamist group issued a US$2.2 million reward and fatwa calling for Jones’ death, and that an Iranian cleric called for Jones to be executed. In November 2012, an Egyptian court convicted Pastor Jones in absentia and sentenced him to death for blasphemy. In the Arab world this story undermined American soft power as a society that respects religion. US officials at embassies in the Arab world worked hard in meetings with Arab media people and other opinion leaders, to make the same points that US officials were making publicly about the case. They emphasized that Jones was a private citizen protected by American law, and that senior American officials even including President Obama had criticized his actions. A similar problem arose in 2012 when an Egyptian—American Coptic Christian in California produced the film “Innocence of Muslims” that was intended to humiliate the Prophet Muhammad and criticize Islam. The story was picked up and broadcast on Egypt’s Nilesat TV channel. Protests broke out in Egypt, Yemen, Tunisia and Libya. In Cairo protesters breached the wall of the US Embassy and burned the flag. In Benghazi, Libya, they attacked and burned the US consulate, and Ambassador Stephens was killed along with three other Americans. American officials acted quickly to try to counter the widespread Muslim anger that the film had caused, because basic American principles were being challenged by a very angry public. They issued statements condemning the bigotry of the film, while at the same time saying that violence was an inappropriate response. Although many Arabs were demanding vigorous action against the producer of the film because he was a private citizen, the Americans sought to explain our free speech along with basic American principles that opposed attacks on religion. A dilemma in presenting American soft power had been exposed. Beyond the digital revolution, other recent developments have also impacted America’s public diplomacy and soft power effort in the Arab world. One of the primary means that public diplomacy professionals use to reinforce American soft power abroad is to send abroad examples of American culture, in film, music, drama and literature, maintain libraries abroad stocked with American books and periodicals, and conduct English teaching classes. In the second half of the twentieth century, this was a major part of the US government’s public diplomacy programme. The US Information Agency supported this cultural effort all over the world. The content was carefully selected to demonstrate tangibly various positive aspects of America’s soft power. By the end of that century however, these programs had all been reduced because of budget cuts (Cull, Chapter 2 and pp. 183, 189). Today the American private sector sends examples abroad for commercial reasons and the impact can be positive or negative. The US private sector’s increased dissemination of American films and TV programs abroad gives foreigners a fuller picture of American life than before. That is soft power. But much of the disseminated material is unhelpful when it presents a distorted or negative picture of the United States that must be put into context (Bayles, 2014). Although Arab TV does carry many commercial US programs, it often simply copies US TV formats and inserts content suitable for Arab audiences, avoiding US cultural content. Kraidy (2010) has pointed out that this applies for example to Arab game shows, that look superficially like the American original but have local content. Much of the American television and Hollywood material shown in the Arab world is in English, but some of it is adapted. Hollywood entertainment films are also adapted to local cultural norms when they are dubbed in local languages. For example the film Shrek became very popular in Iran not so much because of the American dialogue but because the Iranians who dubbed it into Farsi had used local jokes and allusions to make it familiar and humorous to the Iranian audience (Edwards, 2016: 116–126). Strictly speaking, these are not carriers of American soft power because local content has been inserted into a framework that was copied from the United States. However, careful Arab observers will recognize and appreciate that the new approach came originally from the United States. Moreover, because the content has been adapted to conform to the local culture and avoid local taboos, these products are likely to be more acceptable to Arab audiences and avoid any negative reactions. In that way, they do not pose a problem for American public diplomacy and in fact can be of some benefit. For example the American commercial film Argo, about Americans trapped in Tehran in 1979 at the time of the Iranian revolution, generated a negative response by the Iranian government when it was shown in that country. In 2013 the film won the Academy Award for Best Picture so it attracted worldwide attention and this heightened the interest of the Iranian public and government in the content of the film. The film, based on a true story, showed how CIA agent Tony Mendez secretly entered Tehran and organized the escape from Iran of a group of six American embassy employees hiding in the Canadian ambassador’s residence. The Iranian authorities objected to two scenes in the film, both added by the Hollywood scriptwriter to heighten the drama. One showed the Mendez (played by Ben Affleck) driving the Americans through downtown Tehran past a crowd of angry and menacing Iranians, and the other showed their departure from Mehrebad airport in a scene that made Iranian police and immigration agents look inept and bungling. The film was available in the Arab world. Pirated copies of the film circulated widely in Iran. The Iranian government regarded these scenes as humiliating, and engaged a French lawyer to sue the American film company. It also sponsored two conferences in February and March 2013, “Hollywoodism” and “The Hoax of Hollywood”, where speakers denounced American Islamophobia and unfair attacks on Iran (Edwards, 2016: 84–103). Yet the film’s popularity showed how much Hollywood products appeal to Middle Eastern tastes. American political values and processes constitute one component of our soft power. Generally speaking, Arabs admire American democracy, rule of law, accountability of leaders, freedom of speech and other American political ideals (Telhami, 2013). These are qualities lacking throughout the Arab world and that makes the American political system stand out for most Arabs as enhancing our soft power. Yet aspects of the American political system have recently undermined somewhat this fundamentally positive picture for the Arab public. During the US occupation of Iraq, Arabs heard stories about the American harsh treatment of prisoners at Abu Ghraib, detentions at Guantanamo, the Patriot Act and stories of torture. Many of them found these activities contrary to professed American ideals and accused the United States of hypocrisy. They also learned about the polarization of the US Congress, and that too has made our political system look less admirable. At the same time, they often misunderstand how our system works. They are puzzled that Congress can block the president’s policies. American public diplomacy officers try to explain the nuances of our political system but the challenge of doing so be more difficult during an electoral campaign, because candidates for office are more likely to make statements intended domestic audiences and disregard anything that might offend Arabs and other foreigners. This has been illustrated in 2016 on issues relating to the Arab–Israeli conflict, terrorism and immigration. The approach of US officials in their discussions with Arabs is to stress the positive aspects of American democracy, while admitting its shortcomings. In addition they make use of exchange programs to bring Arab journalists and political figures to the United States to see our political system close up, and develop a nuanced and clear picture of how it works than they might have from news reports of its more negative aspects. Usually Arab visitors come away from such visits with a more positive view of our politics when they have seen it firsthand. The 2016 American election campaign added challenges for US public diplomacy professionals trying to explain American democracy. Already foreign reaction to the election of Donald Trump seems to have undermined respect in the Middle East and elsewhere for the American political system, a basic component of American soft power. However at the time of writing (November 2016) it is too early to know if the damage will last. The US government offers a variety of exchange programs to Arab students and professionals. The best known is the Fulbright program that since the 1950s has subsidized study by Arab students in the United States, and is highly prized to this day. The International Visitor Leader Grant program sends mid-career Arab professionals to the United States on short term visits to meet with their counterparts and to learn how their profession is carried out in America. There are other programs that bring Arab students to the United States at different levels, from high school through graduate school. Public diplomacy officers have high appreciation for all of these programs and regard them as the best way to expose foreign audiences to many aspects of American soft power. This conclusion is based primarily on anecdotal evidence, although the few opinion polls that have tested it found that returnees from visits to the United States have a somewhat more favourable attitude towards America (Fitzpatrick and Rugh, 2006: 18). Arab visitors who may be skeptical about aspects of American society and culture have opportunities to see America first hand and it is clear that the experience is a direct one and not filtered by the US government, so what they learn is credible. This aspect of the visit is enhanced because once the visitors arrive in the United States, their programme is handled not by US officials but by private NGOs, such as AMIDEAST, that manages the programs of all of the Arab Fulbright students while they are in the United States (Rugh, 2014: Chapter 10). American diplomats know that the impact of these exchange programs is almost always to enhance the appreciation of the visitors for America’s soft power. There are very few exceptions to this rule, although that is difficult to prove or quantify. For example, in the 1960s when Anwar Sadat, the Speaker of the Egyptian Parliament, accepted an International Visitor Grant to travel to the United States despite his apprehension about going there because he feared he would be a target of American racists, he was extremely satisfied with his visit and impressed with America. Later when he became president, he shifted Egypt’s foreign policy in a more pro-US direction. It cannot be proven that the trip persuaded him to change Egyptian policy, but his positive experience in America may have had something to do with it. Public diplomacy officers seek to build on the positive effect of exchange programs by encouraging returnees to speak out about their experiences, by writing in the local press, speaking on local television and talking to their friends about America. PAOs usually complain that exchange programs are underfunded because of budget cuts after the end of the cold war as it was assumed that public diplomacy was less necessary, and then more cuts with the demise of USIA. During the merger of USIA into the State department, USIA officers insisted on walling off these programs in the State budget that protected them somewhat, but inflation has taken its toll on the budget for exchanges as well. Moreover, while the US private sector (universities, Rotary and so on) has also brought some Arabs to United States on exchange programs, that contribution has been very small. Effective public diplomacy and the use of soft power in the Arab world depend significantly on the ability of US officials to have easy access to Arab publics. Throughout the second half of the twentieth century, there were few barriers blocking contact between officials at US embassies in the Arab world and Arab citizens of all kinds, except in those few cases where the host government banned contact with certain officials (for example, military). American public diplomacy personnel met their contacts in their offices or anywhere outside, including at the American cultural centres that were separate from the embassy and open to anyone. Those cultural centres attracted students, scholars and many others who were interesting in using the American library, listening to lectures, learning English or learning how to apply to a US university. Centre libraries carried the latest American magazines, journals and books in subjects that the librarians knew the local population was interested in. The centres were often venues for cultural presentations. For example, in the 1960s, the cultural centre in Cairo was the venue or a well-received talk by Charleton Heston and the showing of his films. All of those activities helped reinforce American soft power. Since the 1990s, however, security threats against American facilities in the Arab world have led to multiple restrictions on access to the Arab public, severely hampering our public diplomacy programs. Many stand-alone cultural centres were closed. In addition, the Congress in 1999 passed the Secure Embassies Construction and Counterterrorism Act. This act mandated that embassies be heavily fortified, require strict access controls, and banned any US government employee from working in a facility outside of the embassy unless explicitly approved by the ambassador and the embassy security officer. The result was that the number of off-site cultural centres was reduced to 37, and the other embassies had to resort to opening small libraries inside fortified embassy walls, called Information Resource Centres. More than half of these IRCs allowed access only by appointment (Rugh, 2014 Chapter 9). After 9/11 the Bush administration initiated the Global War on Terror and the president decided that the Department of Defence would be the lead government agency to conduct that war and its information aspects. Before that, the Pentagon had not conducted any significant information programs intended to reach foreign audiences, except on a few occasions during wartime when DOD undertook propaganda activities to support a specific conventional war effort. The US direct military intervention in Afghanistan in 1991, which continues to this day, and in Iraq, which ended in 2009 but then resumed, were accompanied by extensive DOD information activities directed at the populations of those two countries. Meanwhile the expansion of terrorism into other countries led to a corresponding expansion of DOD information activities in those places as well. As this DOD mission creep continued, the State Department’s public diplomacy personnel were unable to keep up with the size and extent of DOD’s information effort that resembled the civilian effort in many ways, because DOD had a far larger budget and many more people to devote to it than the State did. The State’s PD personnel worked to cooperate with DOD as best they could, although their goals and methods were different. Today DOD justifies its programs that communicate with foreign audiences in terms of war fighting or combating terrorism. That leads to short-term “messaging” and does not include any long term relationship building. It does not include general educational exchange programs or cultural programs, such as State carries out in cultural centres and cultural presentations. Pentagon officers who manage these DOD information programs usually do so in short term assignments with very limited training, unlike civilian officers in State’s public diplomacy cones who devote their careers to becoming experts in the skill (Rugh, 2014: Chapter 11–12). State’s public diplomacy officers recognize that DOD will remain involved at least for the foreseeable future in carrying out information activities with foreign audiences, and that DOD has much more money to devote to that activity than they do. The Pentagon is normally associated with hard power, but because DOD communication programs after 9/11 expanded into areas considerably beyond warfighting, some of them do carry soft power implications, and some of these can be positive. This is true for example when the Pentagon carries out humanitarian missions such as disaster relief. But because the messenger is a military person, and often in uniform, the Arab audience tends to perceives the message as a negative one. Civilian public diplomacy officers are much more likely to be able to make use of American soft power in the Arab world and elsewhere. A broader question than the one considered above is whether American power generally has declined. This is being debated by scholars and others and it is related to the soft power issue, since the perception that American power has declined, implicitly means a corresponding decline in America’s soft power. In his book “After the American Century: the Ends of US Culture in the Middle East”, Brian Edwards argues that the phrase “American Century” used by the publisher Henry Luce in 1941, describing American global dominance due in part to soft power, no longer applies (Edwards, 2016: 21). Edwards argues that America in the twenty-first century is no longer the hegemon. He makes his case largely by discussing American cultural products—that is, elements and evidence of our soft power—and saying that they are no longer ubiquitous in the Middle East as they were in the past century. The Edwards thesis can be challenged on two counts. First, by far the most common foreign cultural and commercial products—symbols and carriers of soft power—that enter the Arab world from outside are from America, not other countries. In his writings about Arab opinion toward the United States, Middle East scholar Shibley Telhami points out that the primary Arab criticism is of US policy toward the region, but that Arabs admire many aspects of America. They admire our values such as freedom and democracy. They love fast food, American designer clothing, American music and sitcoms, which are “hard to miss all over the Arab world” even in conservative Saudi Arabia. He says the United States maintains a “huge welcome presence in the Arab world” in television, and their thirst for Hollywood movies and stars is “hard to quench”. His 2009 poll found that 61% of the public in six Arab countries watch American or European movies, shows or music videos 5 or 6 times each week. He says only the Arab “fanatical fringe” has an aversion toward the United States (Telhami pp. 105–18). Second, American hard power is still dominant globally. The US military budget is larger than the military budgets of the next seven countries combined, and US forces are a very visible presence around the world including in the Arab countries. And the US still has the world’s largest economy. So Edwards is premature to declare the American century over. Also, his use of the term “hegemon” is misleading. Prominent scholars, like Nye (1993,2016), who coined the term “soft power”, argue that American international leadership is not in fact in decline. Nye’s view is that in fact America never was a “hegemon” because as powerful as it has been, it has never had the financial nor the military resources to impose a proper, formal, global hegemony. But, he says, America was and still is the dominant power in the world. Professor Stephen Walt agrees. He says, “The happy truth is that the United States is already very secure, and it enjoys geopolitical advantages that other states can only dream about” (Walt, 2015). Fareed Zakaria also agrees. He argues that while other countries such as China and India are becoming global players in many fields, the US continues to dominate the world in terms of political-military power. He says that while a “post-American” world order is emerging, the United States will continue to be the most powerful nation even as its relative power will be diminished (Zakaria, 2012). It is true that the Arab perception of American soft power has therefore been somewhat damaged in recent years due in part to the digital revolution that allows quick dissemination of American news, both negative and positive. Yet Arab appreciation for US culture, education, the arts and technology as well as our political freedoms—all sources of positive soft power—remain strong. This is evidence that American soft power continues to be a potent force abroad. In summary, the primary responsibility for making use of America’s soft power assets in communicating with audiences abroad rests with the US government’s public diplomacy professionals. In the twenty-first century, they have faced a number of new challenges in carrying out their responsibilities. The most wide-reaching challenge has been the digital revolution in communication technology, which has made possible a wide array of competing private communicators who do not always present positive aspects of America’s soft power. Foreign audiences know more about America from non-USG sources and some of this information is negative. The private dissemination of American cultural products abroad does not always convey a positive image of America. The behaviour of private American citizens, conveyed by social media, is sometimes misunderstood abroad. Meanwhile, other developments, such as the increase in security requirements as a result of terrorist attacks, and the development of Pentagon communication with foreign audiences in peacetime, have also complicated the efforts of the US government’s ability to make best use of America’s soft power. These trends are likely to continue. Finally, the judgment that American power has declined generally is probably premature, so this does not substantially impact the effect of American soft power. Data sharing is not applicable as no datasets were analysed or generated during this study. Rugh W (2017) American soft power and public diplomacy in the Arab world. Palgrave Communications. 3:160104 doi: 10.1057/palcomms.2016.104. Bayles M (2014) Through a Screen Darkly: Popular Culture, Public Diplomacy, and America’s Image Abroad. Yale University Press: New Haven, CT.
Cole J (2009) Engaging the Muslim World. Palgrave Macmillan: New York. Cull NJ (2012) The Decline and Fall of the United States Information Agency. Palgrave Macmillan: New York. Edwards BT (2016) After the American Century: The Ends of Culture in the Middle East. Columbia University Press: New York. 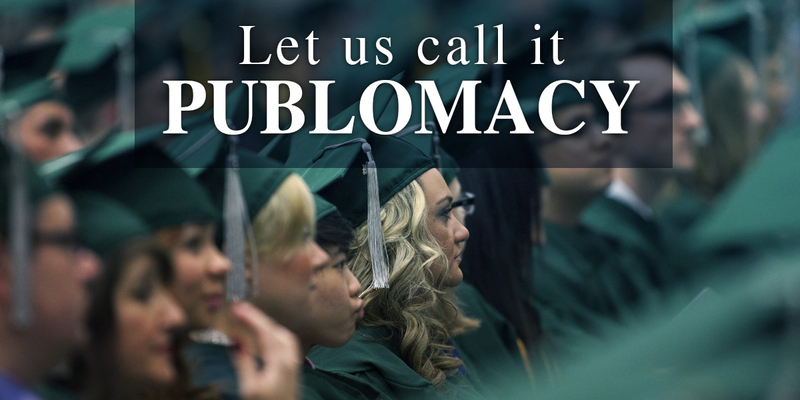 Fitzpatrick K (2009) The Future of Public Diplomacy. Brill-Martinus Nijhoff: Boston, MA. Kraidy MM (2010) Reality TV and Arab Politics: Contention in Public Life. Cambridge University Press: New York. Luce HR (1941) Life Magazine, 17 February. Nakhleh E (2009) A Necessary Engagement; . Princeton University Press: Princeton, NJ. Nye JS Jr (1990) Bound to Lead. Basic Books: New York. 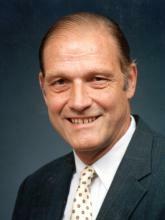 Nye JS Jr (1993) Understanding International Conflicts: An Introduction to Theory and History. HarperCollins: New York. Nye JS Jr (2003) The Paradox of American Power: Why the World’s Only Superpower Cannot Go it Alone. Oxford University Press: New York. Nye JS Jr (2004a) Soft Power: The Means to Success in International Politics. Public Affairs Press: New York. Nye JS Jr (2004b) “The Benefits of Soft Power”, Compass, Harvard Business School 2 August. Nye JS Jr (2016) “Politicians say American Leadership is in decline. They’re wrong”. The Washington Post 29 January. 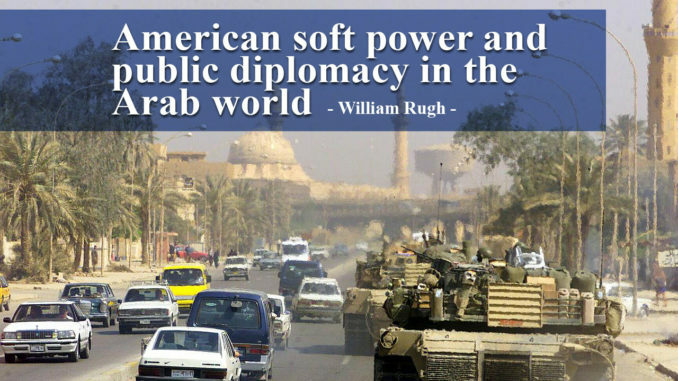 Rugh WA (2006) American Encounters with Arabs: The ‘Soft Power’ of US Public Diplomacy in the Middle East. Praeger: Westport, CT.
Rugh WA (2014) Front Line Public Diplomacy: How US Embassies Communicate with Foreign Publics. Palgrave Macmillan: New York. Stengel RS (2014) “Remarks at the University of Southern California Center on Public Diplomacy”, Los Angeles 15 October 2014. Telhami S (2013) The World Through Arab Eyes: Arab Public Opinion and the Reshaping of the Middle East. Basic Books: New York. USC Center on Public Diplomacy at the Annenberg School. (2008) University of Southern California, “An Evaluation of Alhurra Television Programming, Conducted for the Broadcasting Board of Governors”, 31 July. Walt S (2015) “What Do Politicians Really Mean By ‘Global Leadership?’”, Foreign Policy 4 September. Zakaria F (2012) The Post-American World. W.W. Norton: New York. Zogby International and Maryland University. (2010) “Annual Arab Public Opinion Survey”, https://www.brookings.edu/wp-content/uploads/2016/06/0805_arabic_opinion_poll_telhami.pdf, accessed 17 December 2016. Share the post "American soft power and public diplomacy in the Arab world"